Variation in environmental conditions can result in disparate associations between hosts and microbial symbionts. As such, it is imperative to evaluate how environmental variables (e.g., habitat quality) can influence host-associated microbiome composition. Within wildlife conservation programs, captive conditions can negatively influence the establishment and maintenance of “wild-type” microbiotas within a host. Alternative microbial communities can result in the proliferation of disease among captive stock or upon reintroduction. Hellbenders (Cryptobranchus alleganiensis) are a threatened salamander for which extensive captive management is currently employed. 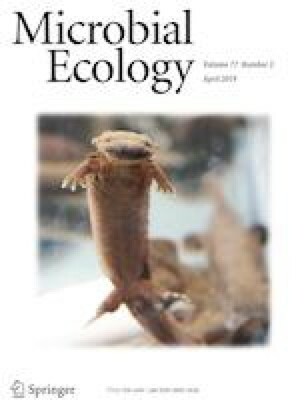 Using metabarcoding, we characterized the skin microbiota of wild and captive hellbenders from two subspecies in the state of Missouri, the eastern (C. a. alleganiensis) and the Ozark hellbender (C. a. bishopi). Both subspecies in our study included wild adults and captive juveniles that were collected from the wild as eggs. Our objectives were to investigate differences in the skin microbial communities’ richness/diversity, composition, and functional profiles of microbes between wild and captive individuals. Captive eastern hellbenders possessed richer communities than wild cohorts, whereas the opposite pattern was observed within the Ozark subspecies. We found significant microbial community structure between wild and captive populations of both subspecies. Microbiota structure translated into differences in the predicted metagenome of wild and captive individuals as well. As such, we can expect captive hellbenders to experience alternative microbial structure and function upon reintroduction into the wild. Our study provides a baseline for the effect of captivity on the skin microbial communities of hellbenders, and highlights the need to incorporate microbiota management in current captive-rearing programs. The online version of this article ( https://doi.org/10.1007/s00248-018-1258-1) contains supplementary material, which is available to authorized users. We thank the members of the Williams lab for assistance in revising this document. Special thanks especially to Erin Kenison for detailed comments and suggestions. Thanks to Phillip San Miguel and Viktoria Krasnyanskaya from the Purdue Genomics Core for assistance in sequencing library preparation. We also thank the Missouri Department of Conservation and the St. Louis Zoo Ron Goellner Center for Hellbender Conservation for providing access to sampling and for their interest in this project. We handled hellbenders following an approved protocol by the Purdue University Animal Care and Use Committee (PACUC protocol no. 14060011094).